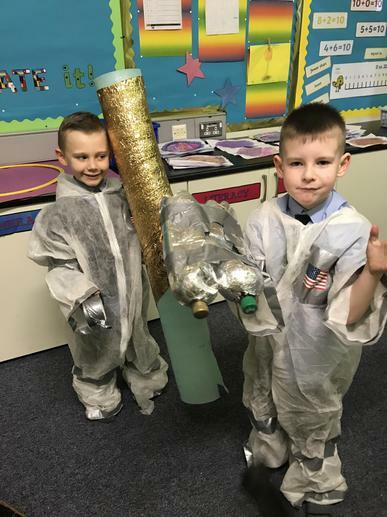 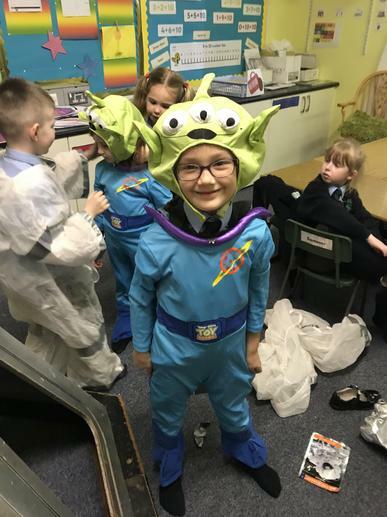 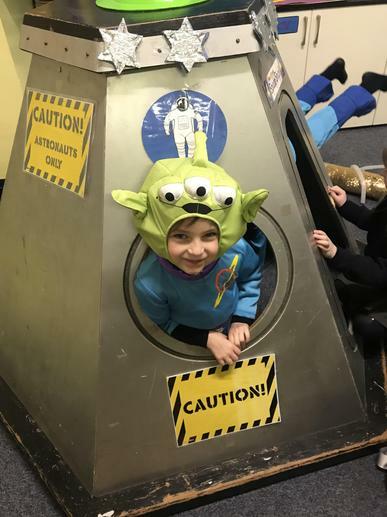 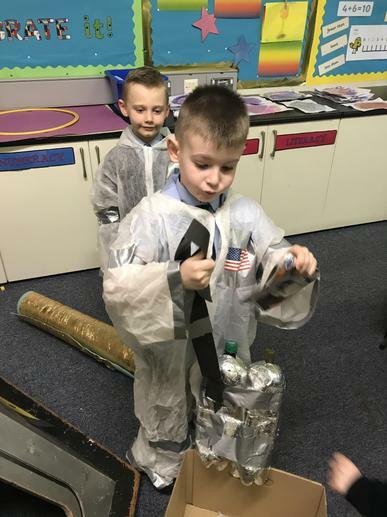 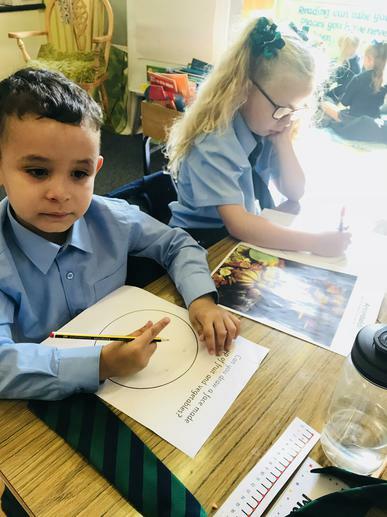 P2 enjoying dressing up as astronauts and aliens as they learn about space through play. 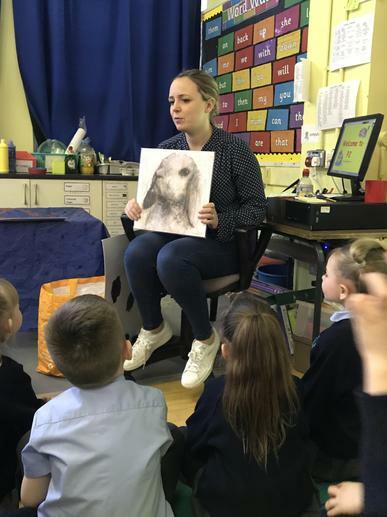 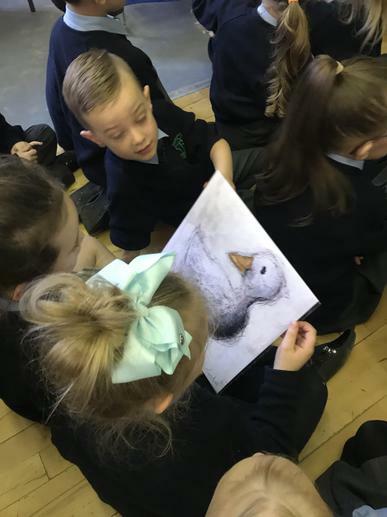 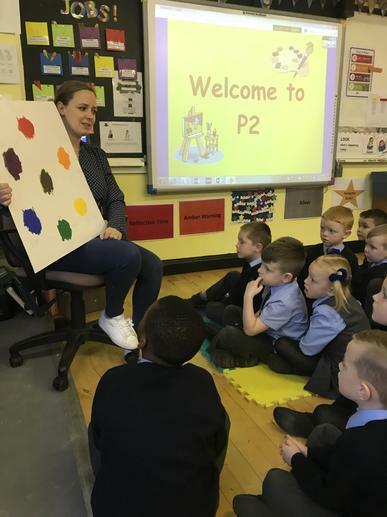 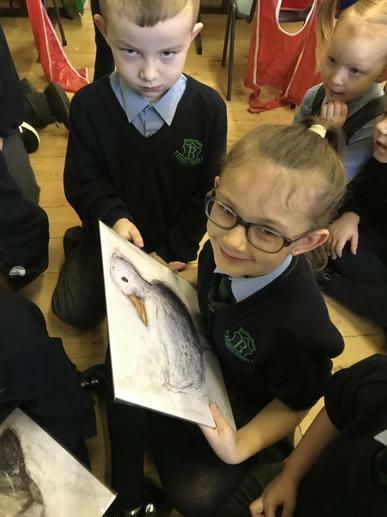 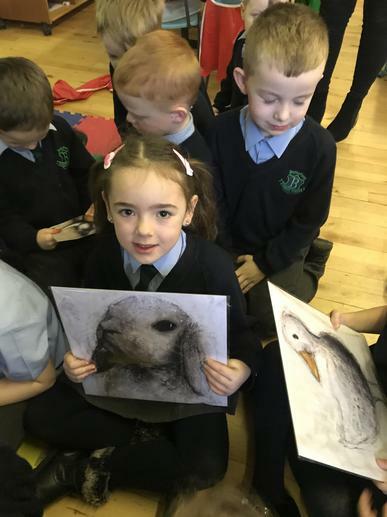 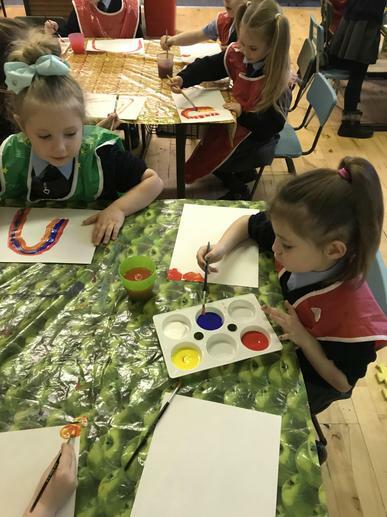 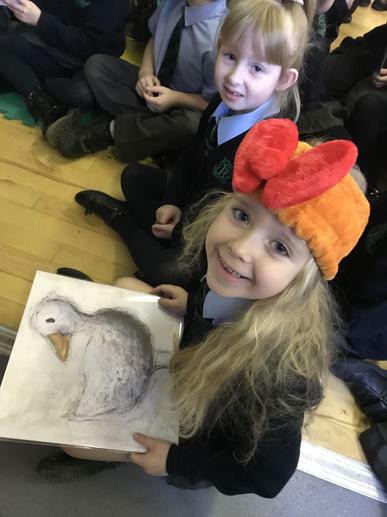 We had a lovely morning in P2 with a visit from Lynsey Auld a Northern Ireland artist. 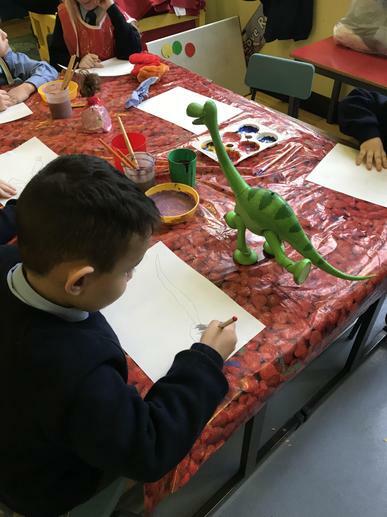 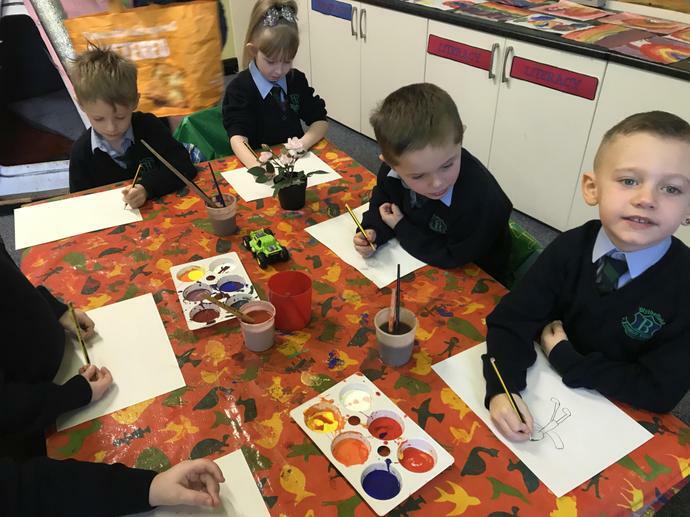 We learnt how to mix colours and create new colours as well as complete some observational drawings using pencils. 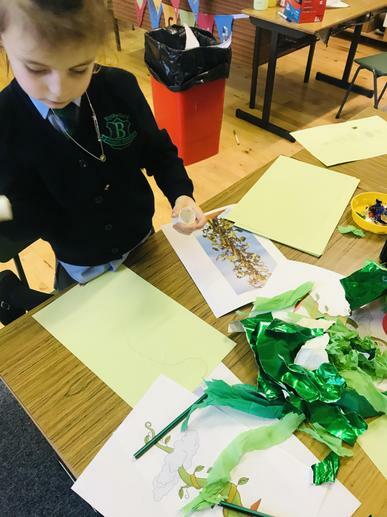 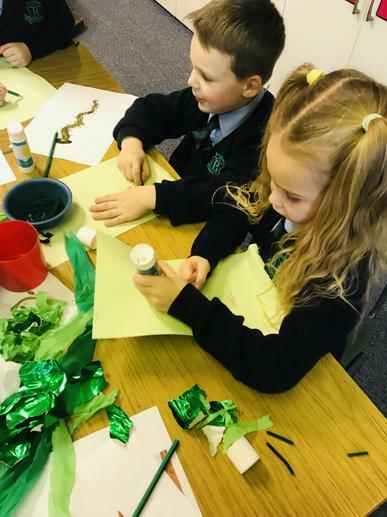 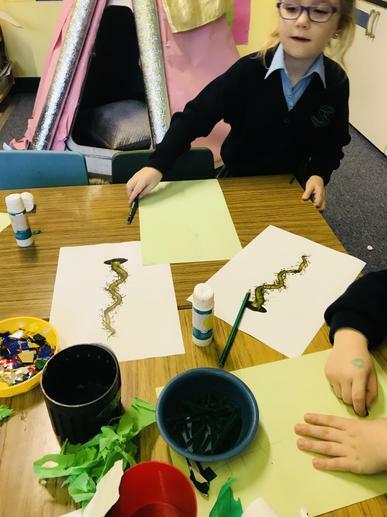 We are busy creating our own interpretation of a beanstalk using a variety of materials and colours. 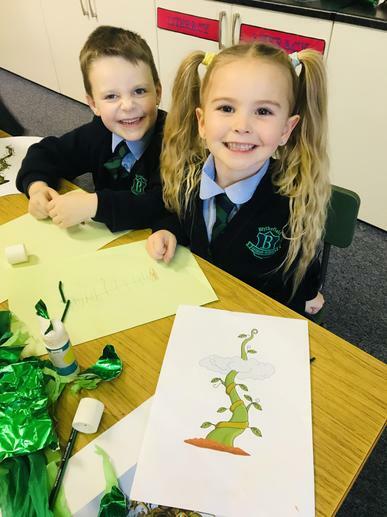 We also enjoy discussing the story and characters of Jack and the Beanstalk. 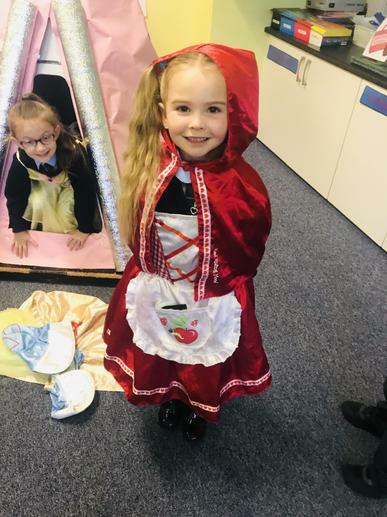 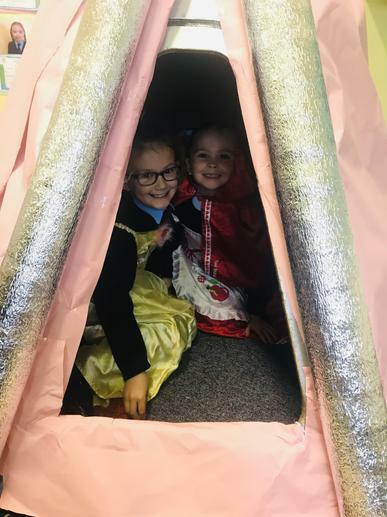 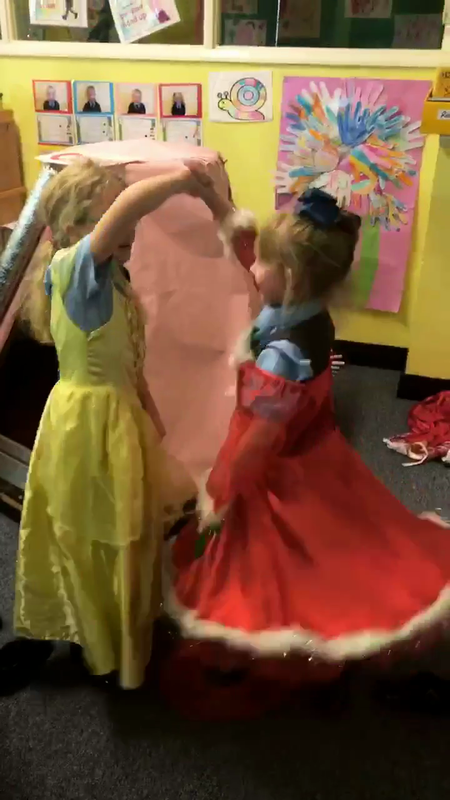 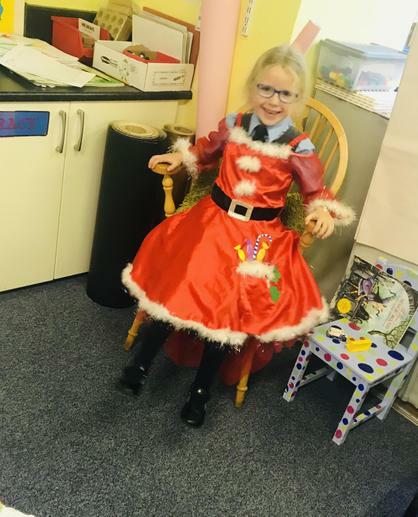 We are enjoying learning about Fairytales this term and love dressing up in the role play area. 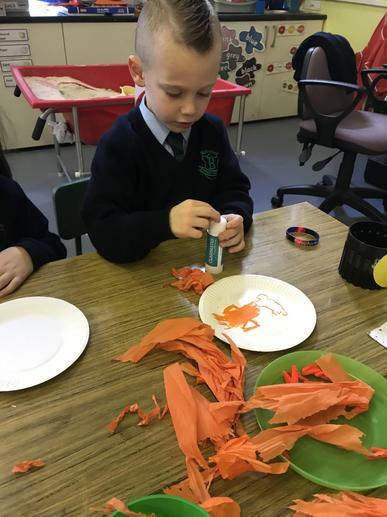 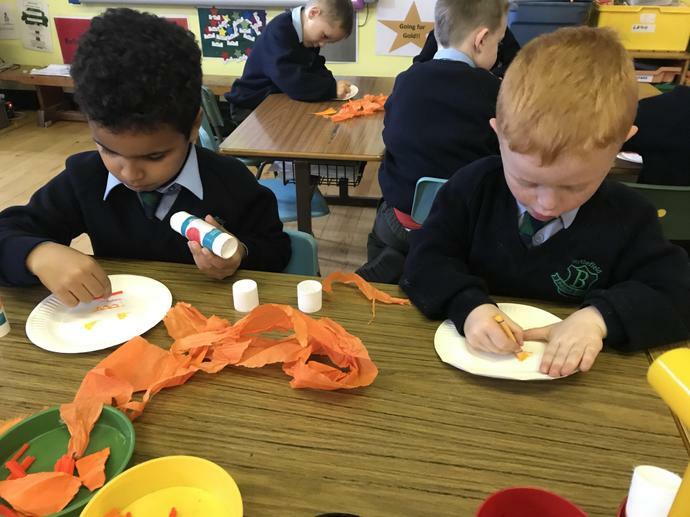 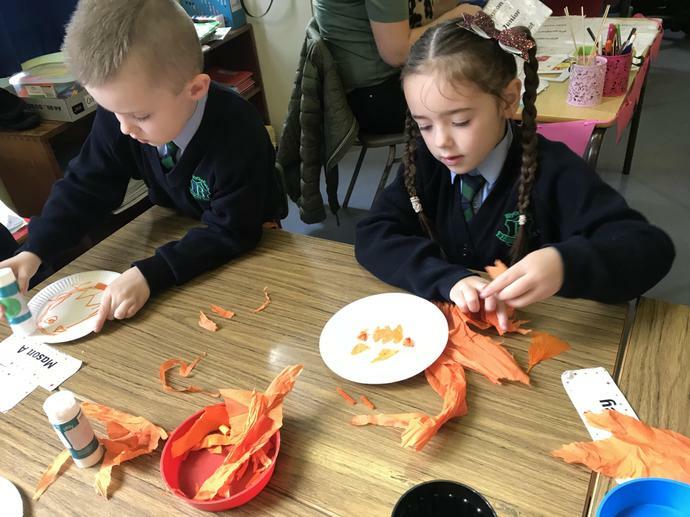 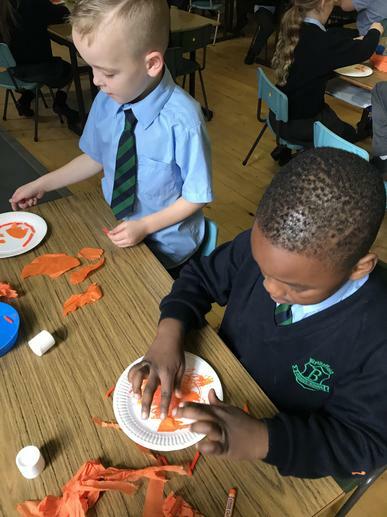 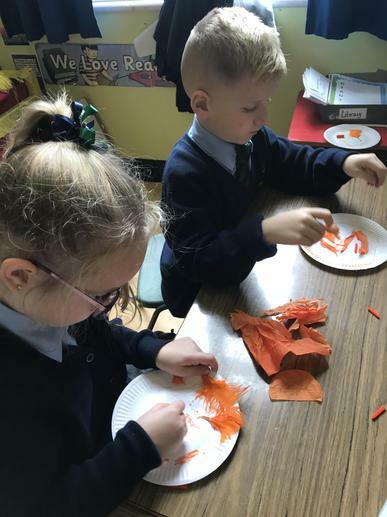 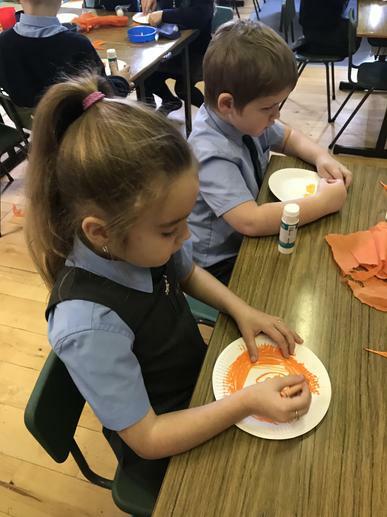 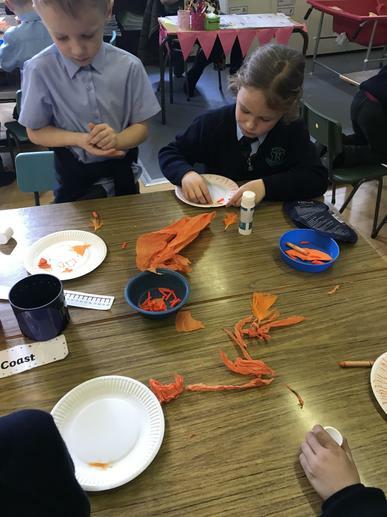 We enjoyed making our own paper plate pumpkins. 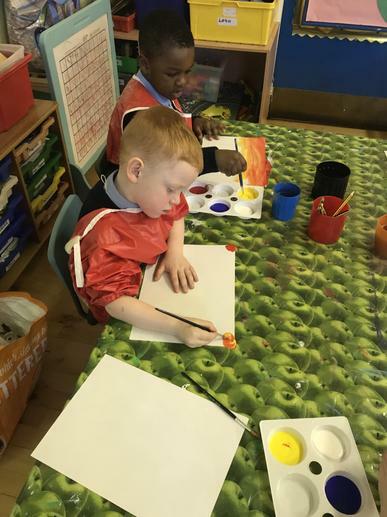 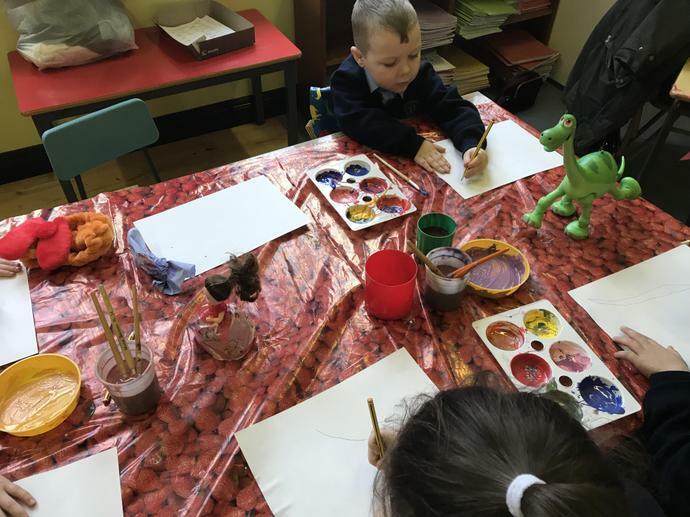 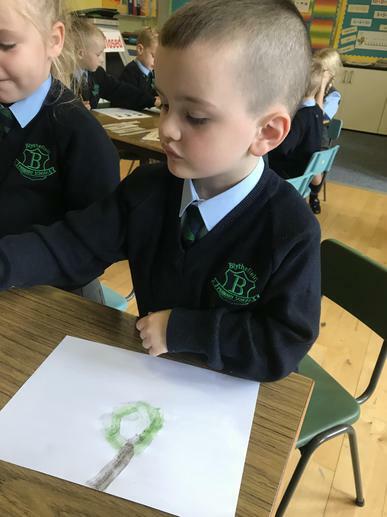 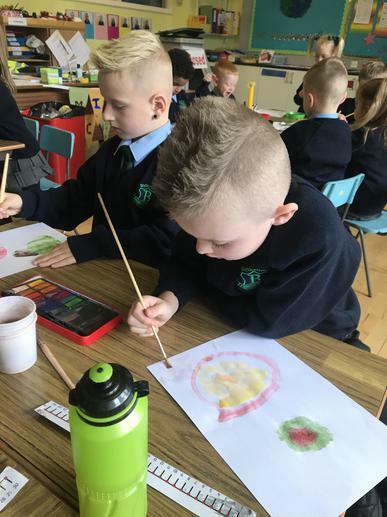 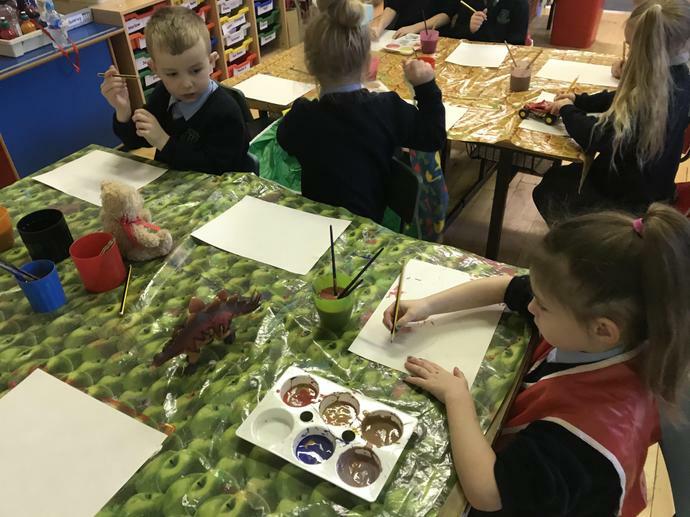 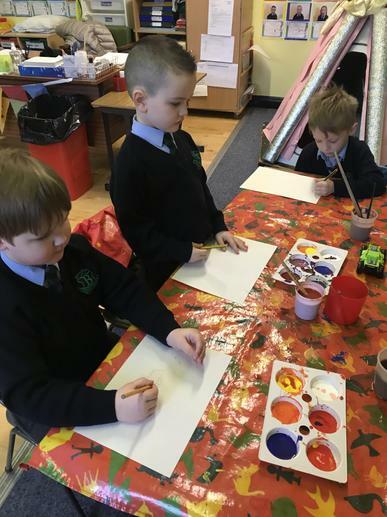 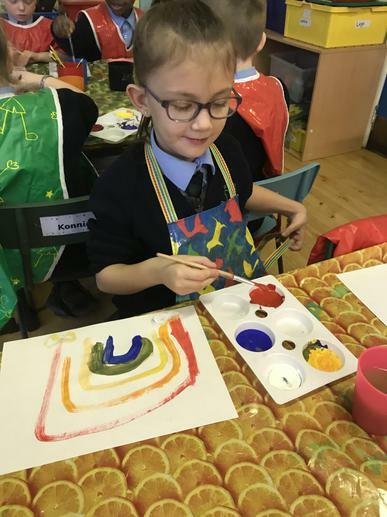 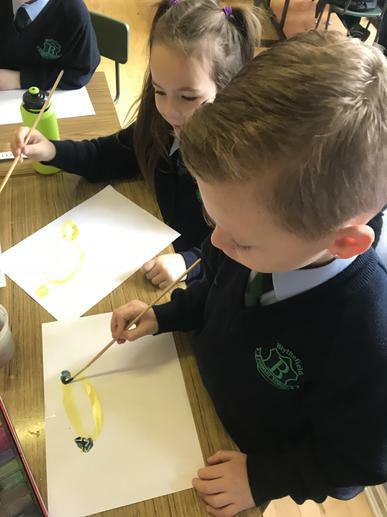 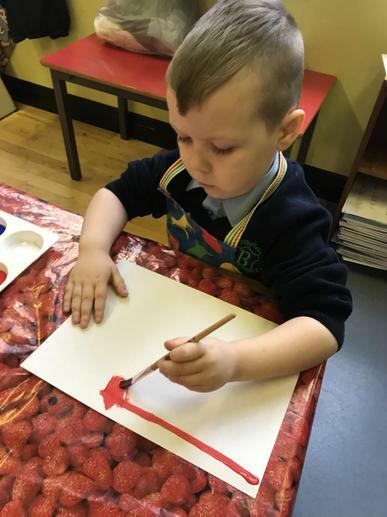 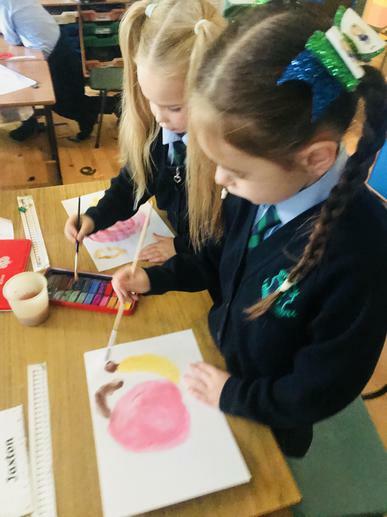 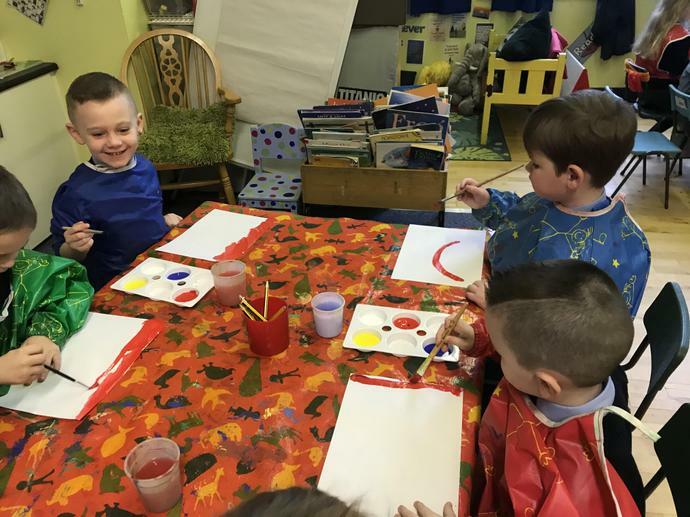 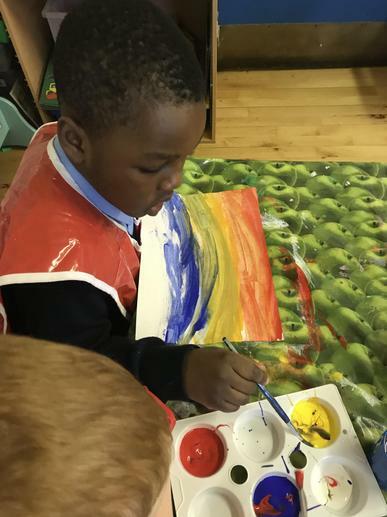 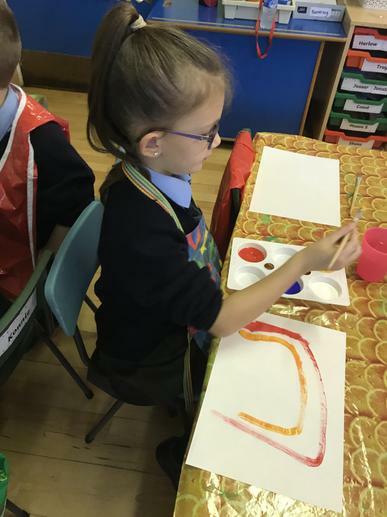 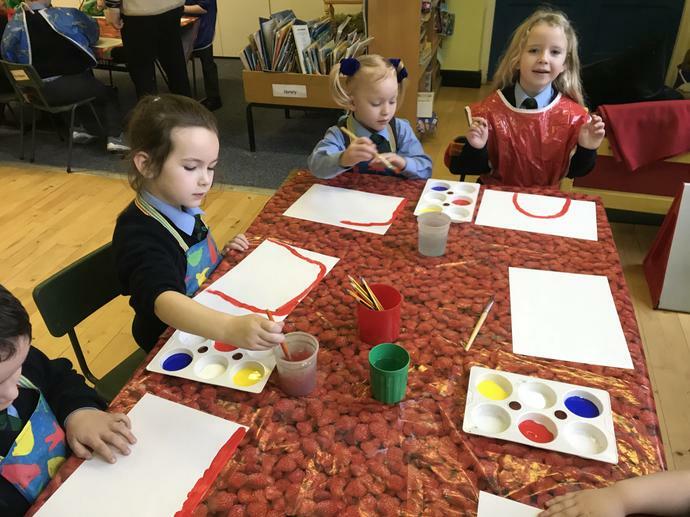 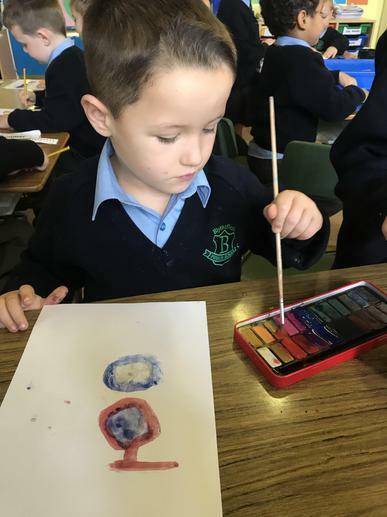 We have been exploring how to blend colours and looking at size and shape when we are painting a variety of healthy foods using watercolour paints. 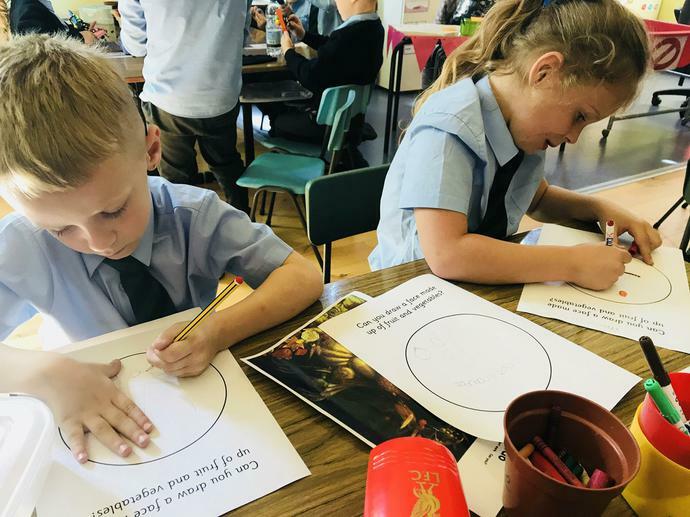 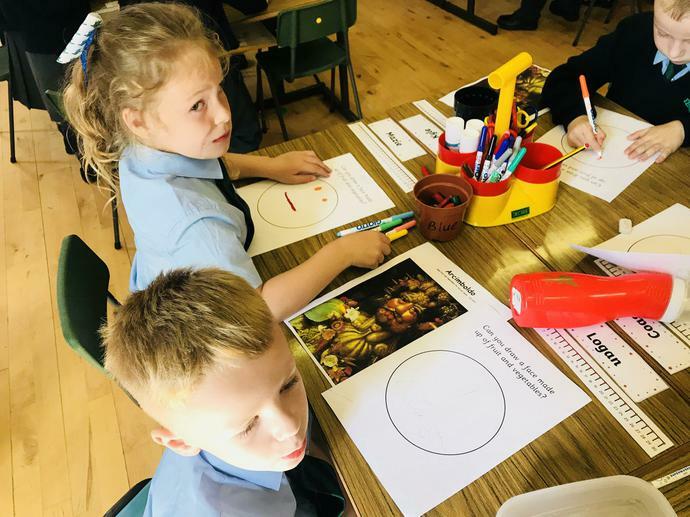 Our topic this term is all about Food, so we did some research into the artist ‘Arcimboldo’. 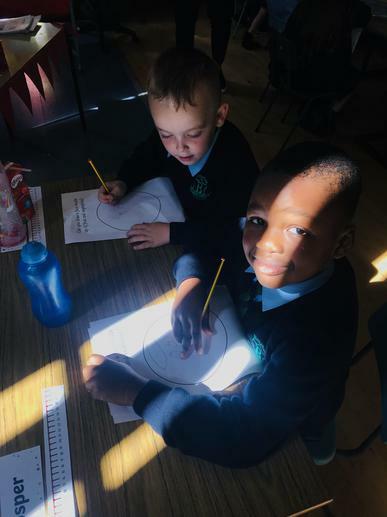 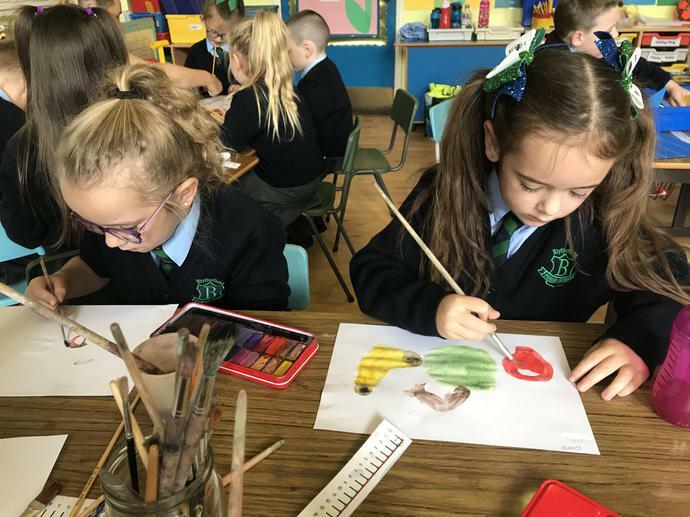 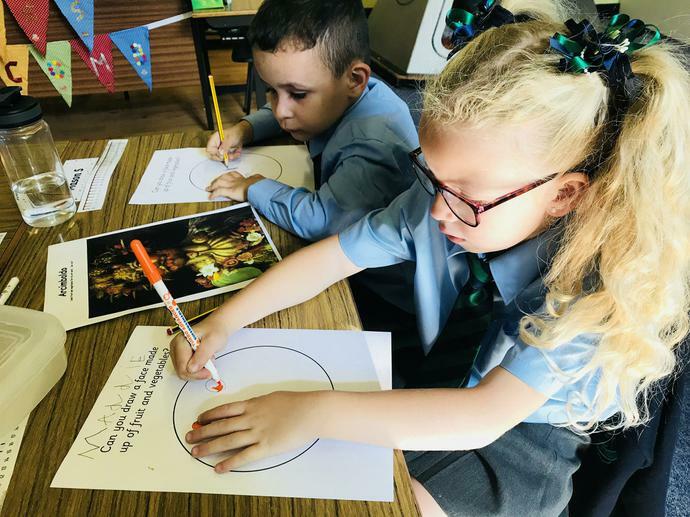 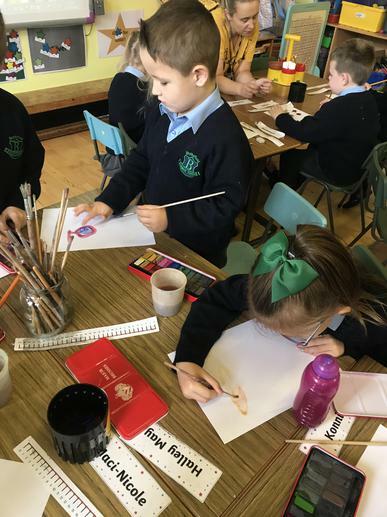 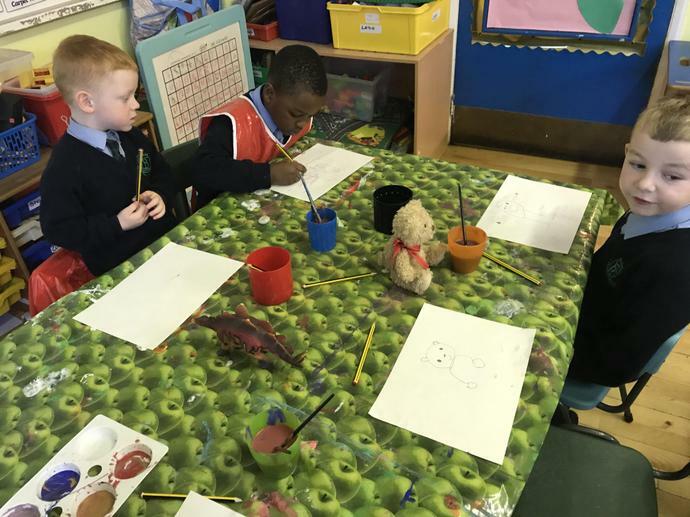 P2 completed their own portraits of themselves by drawing fruits and vegetables. 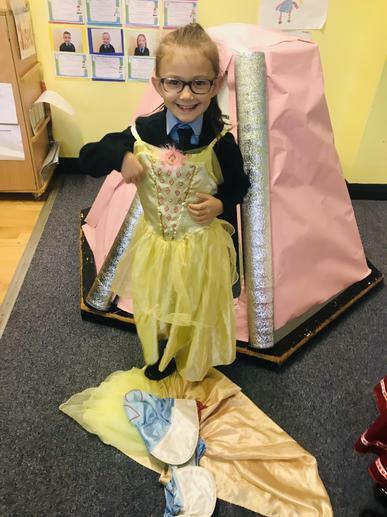 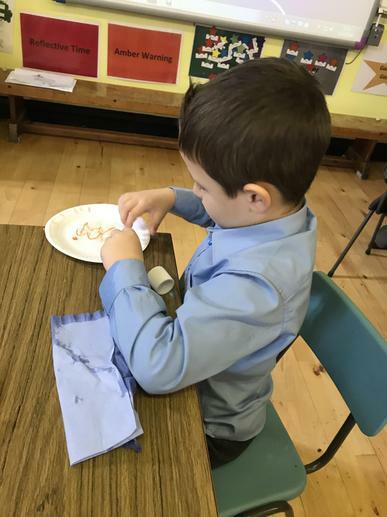 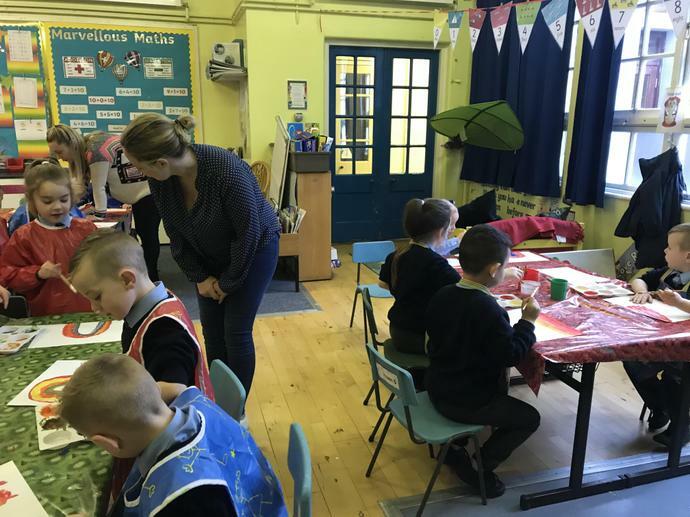 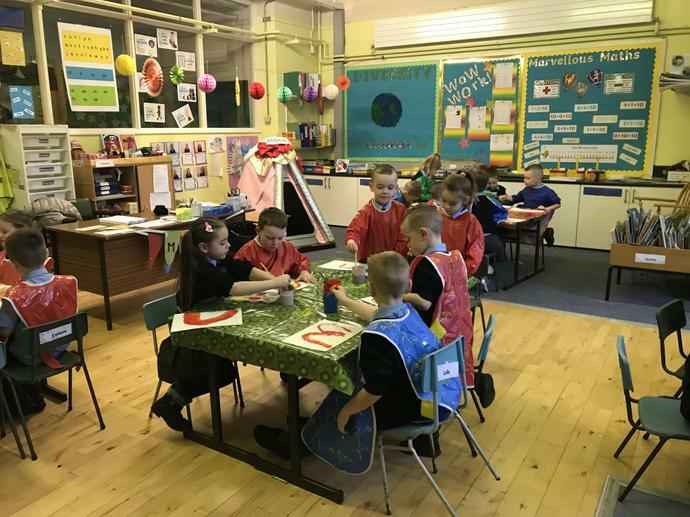 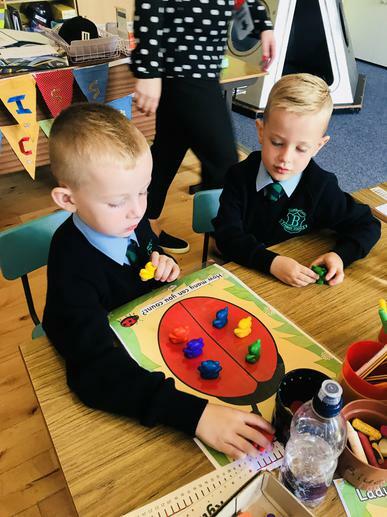 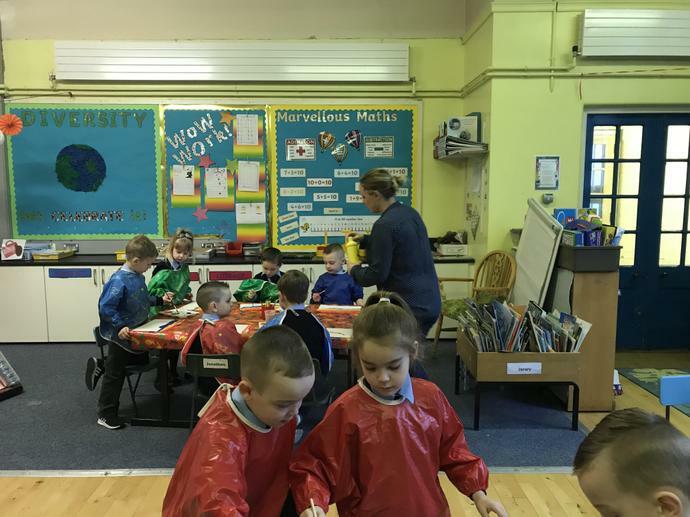 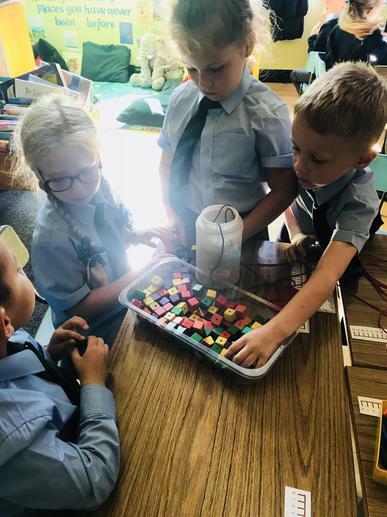 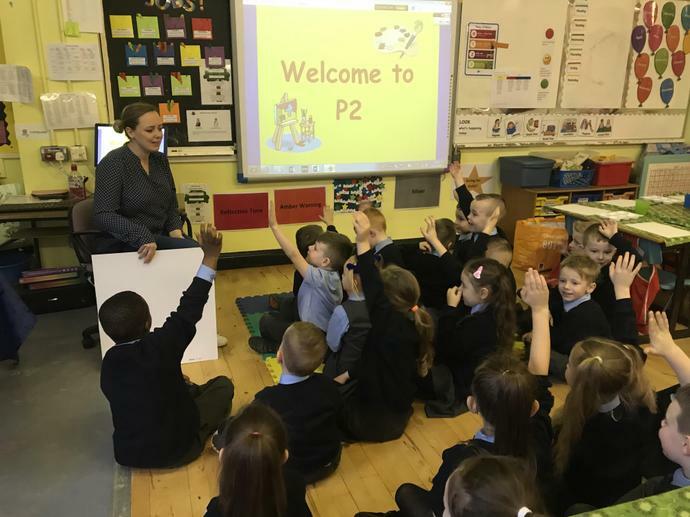 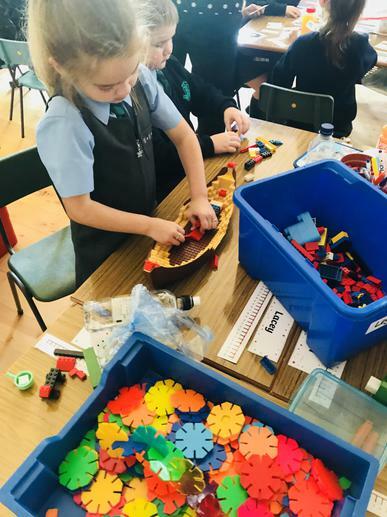 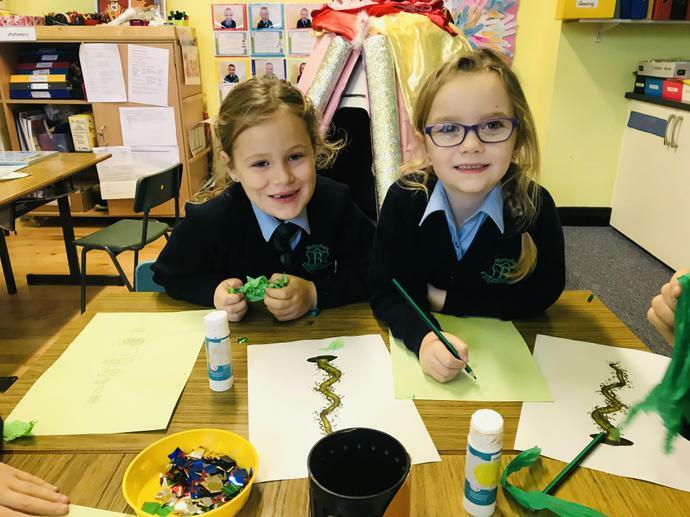 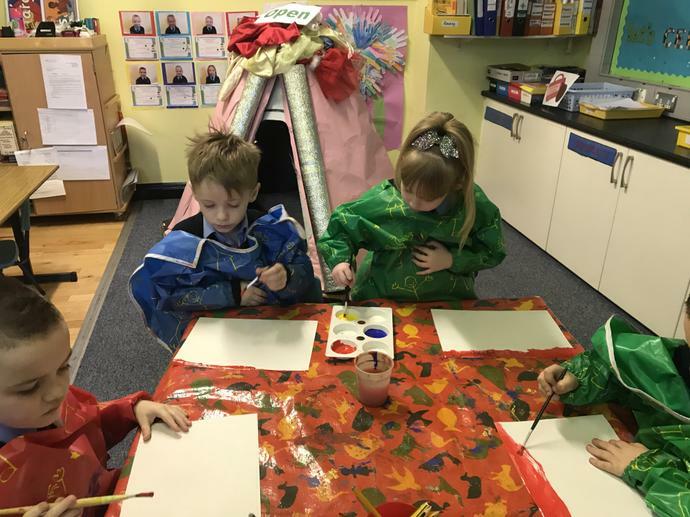 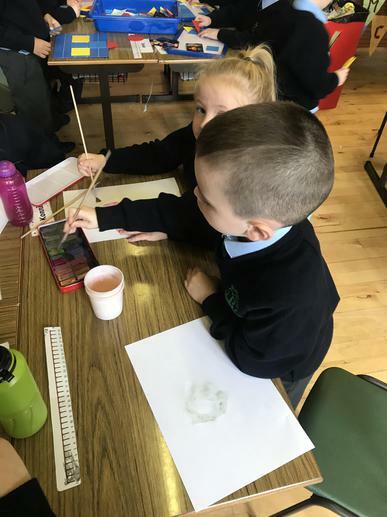 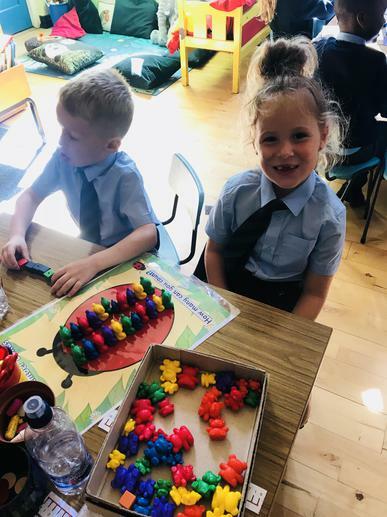 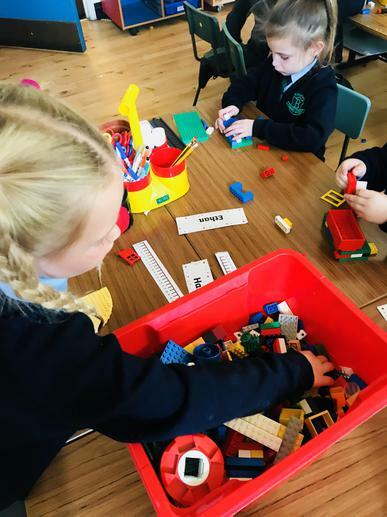 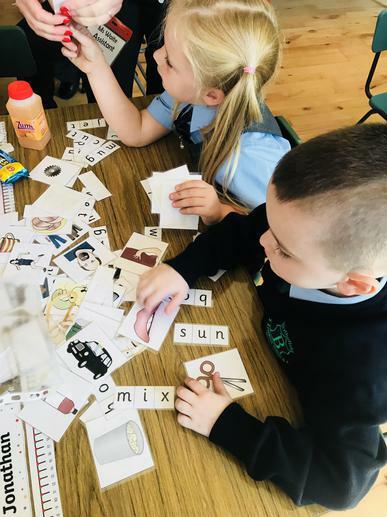 P2 have been enjoying their play based learning. 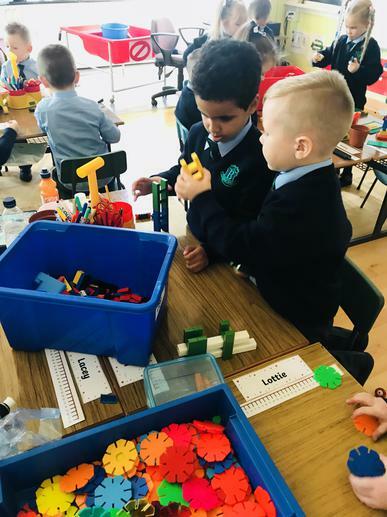 We have been focusing on our fine motor skills, counting and spelling some CVC words.